Just when we were starting to wonder if the weather was ever going to warm up (or stop raining for that matter), BAM ðŸ’¥ summer arrived. I have a kind of love/hate relationship with summer. In the dead of winter there's nothing I want more than the sunshine, and then when it finally comes I'm wishing for cooler days. Does that make me an official New Yorker now?! Haha, jokes aside I am looking forward to picnics in Cental Park and rooftop drinks. So today I'm sharing some tips to survive summer in the city without looking like a melted popsicle. Because while I love popsicles, I don't want to look like one. Add a little heat + humidity and what do you get? Makeup melt city! I have oily skin to begin with so finding makeup that will actually stay on my face all day is always a struggle. Add that summer factor and it turns into mission impossible. I was recently introduced to the cosmetic brand Paul & Joe though, so I decided I'd put it to the test. I have to say their Perfect Makeup Primer, Gel Foundation, and Pressed Powder are quickly becoming some of my favorite products in my makeup bag. I've been using the primer and gel foundation as my daily go-to's and these two make a killer combination. Together they've already gotten me through some 90+ degree days. I really like the gel foundation too because it has a different texture than some of the other products I've tried. It's a great combination of feeling light (a must in the summer) while also providing enough coverage. 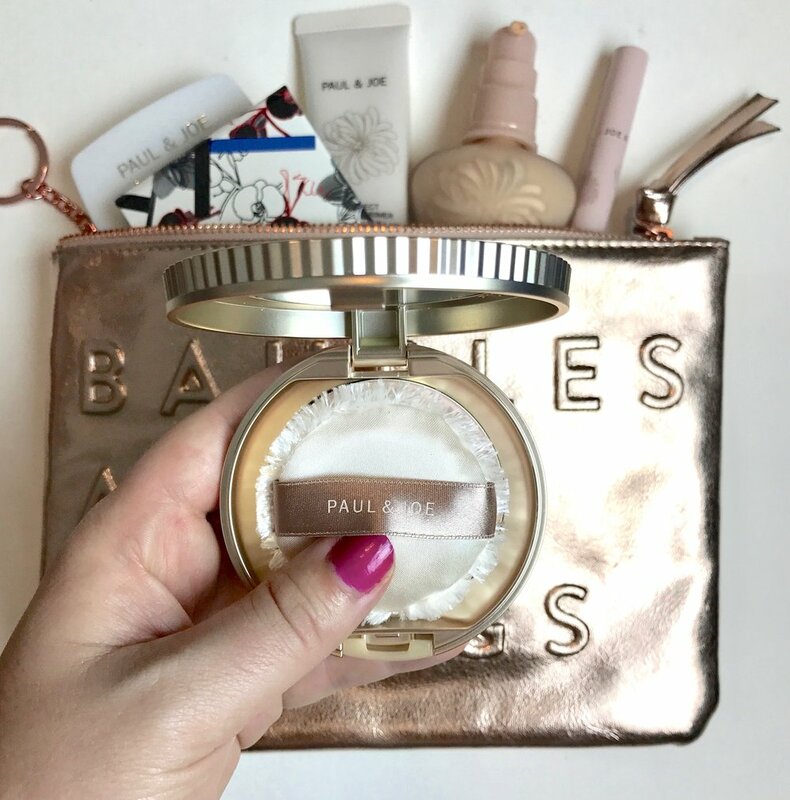 I've also been packing the pressed powder in my purse, which is the perfect addition for touch-ups -- especially after coming out of the subway. 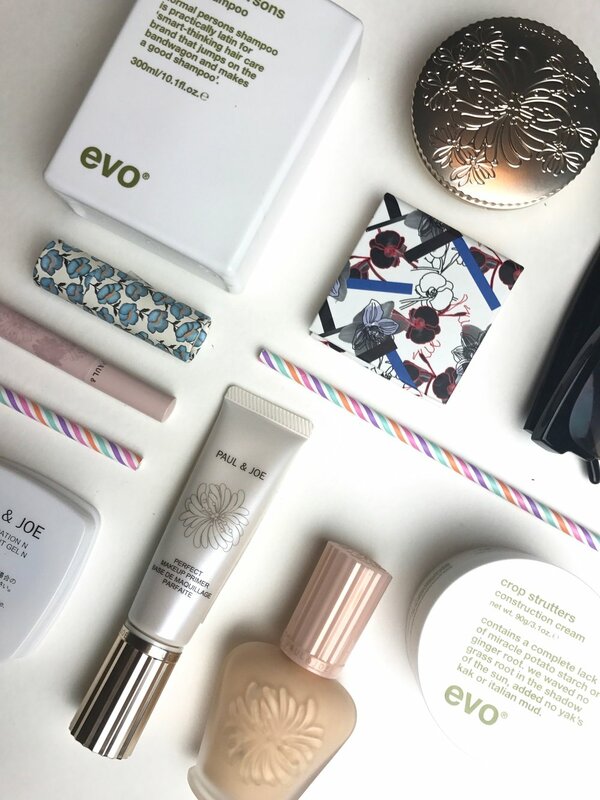 With any makeup in the summer, you usually want to tone it down a little and these products have kept my face looking fresh without feeling like it's heavy. I've also become quite the lipstick addict in the last year. 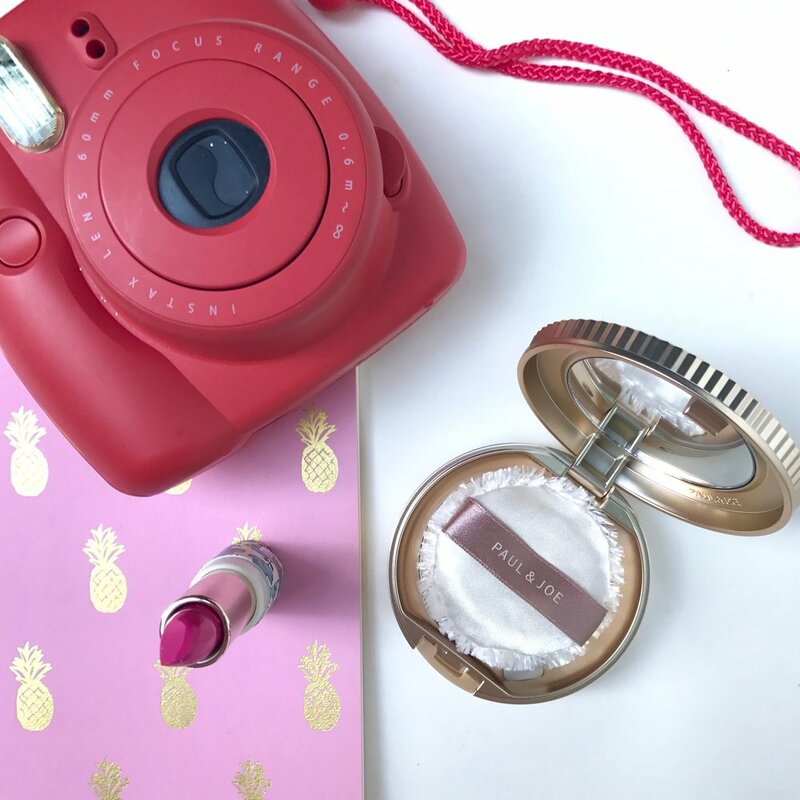 Something about a little lipstick just takes your look up a notch. I'm really into red but have also fallen in love with the Pink Balloon option, also from Paul & Joe. It's very Barbie pink looking, but it actually has more of a sheer look leaving your lips looking dewey. Perfectttt for summer! Not that your face is under control, let's move onto your hair. Along with oily skin, I also have oily hair.. thanks genetics! So add some extra sweat and my hair can end up being a big 'ol greasy mess. Cute right? If you can relate you may definitely want to consider switching up your shampoo in the summer. Generally what I like to do is alternate between products a couple of times a week because it seems to help with keeping my strands extra clean. Sometimes I like to use a clarifying shampoo, but I'm also someone who colors their hair it's not always great to use it a lot. One brand I've really fallen in love with lately is Evo. It smells absolutely amazing and doesn't have a lot the yucky ingredients that a lot of other products do. Say bye bye sulphate, parabens, and all of that other junk. If we're being totally honest here, having long hair in the summer you can pretty much count that my hair is either in a top knot or some sort of braid. My hairdryer definitely goes on vacation for a few months. On those lucky days where the temps stay belong 80 though it's nice to let your hair down.. literally. On those days I have two go-to's. The first is Suave's dry shampoo. I pretty much buy this by the case and it's even more necessary in the summer. One subway trip and your hair can take a beating in the summer so it's nice to perk your hair up a little mid-day or for evening outtings. I've tried just about every dry shampoo on the market and this is one of my favorites and is also one of the cheapest ones. Score! Another product I love is Evo's Construction Cream. This product is great when I'm going for a casual beach hair look or soft curls. Normally, I shower in the morning, but in the summer I'll often shower at night and let me hair air dry overnight. The only downfall to that is I can get some pretty crazy kinks in my hair. This product is great though because it gives my hair a little more body so that any crazy kinks look totally intentional. It really gives the perfect amount of texture without weighing it down! As with the brand's shampoo, this product smells amazing too! Double win! That Cute Outfit.. it Better be Sweat-proof! My outfits in the summer are entirely picked based on how sweat-proof they are. It only takes one summer of living in NYC to learn the parts of your body you didn't think it was possible to sweat. Who knew the back of your knees and wrists could sweat ðŸ˜± Gross? Oh totally, but also SO true. So if there's one final tip I will share it's that you may want to consider that when you pick out your outfit on those extra hot days. I'm sorry, I don't care how cute that cotton grey or light blue maxi skirt is.. it's not happening on that 95-degree day. I'm all about breathable fabrics and airy dresses. Keeping cool, while styling along the way! Do you have any other must-know tips for surviving the summer in the city? I'd love to hear them in the comments below! **Disclaimer: Paul & Joe and Evo provided me with complimentary samples of their products to test out. This post and all opinions stated are based on my own ideas and honest experience with the product and has not been influenced based upon the sponsorship.